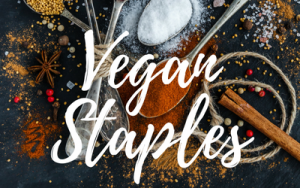 Vegan cinnamon star cookies made with only 5 wholesome ingredients that are oil-free, refined-sugar-free and gluten-free? Can it get any better? I don't think it can! 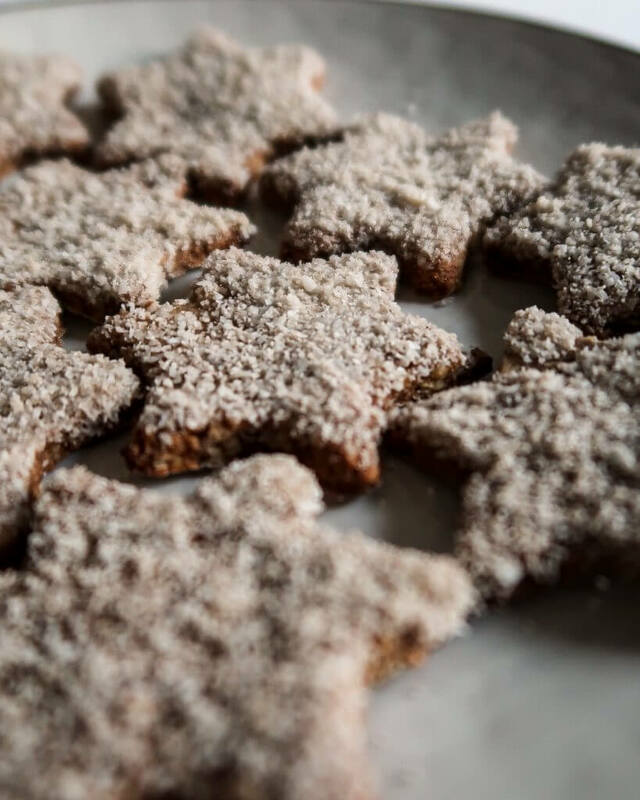 These vegan cinnamon star cookies are perfect for Christmas! Wow, I can't believe it's only one month until Christmas! Somehow it doesn't feel like that - it is still quite warm outside (I mean, yeah, it's cold, but not like ... freezing) and although they started selling Christmas cookies in the stores months ago, I'm not really feeling the Christmas atmosphere yet. So I decided to do the one thing that'll always put me in a Christmassy mood - baking Christmas cookies! When I started paying more attention to what I was feeding my body with, I kind of cut back the baking. But what is Christmas without baking some cookies I thougth this year?? 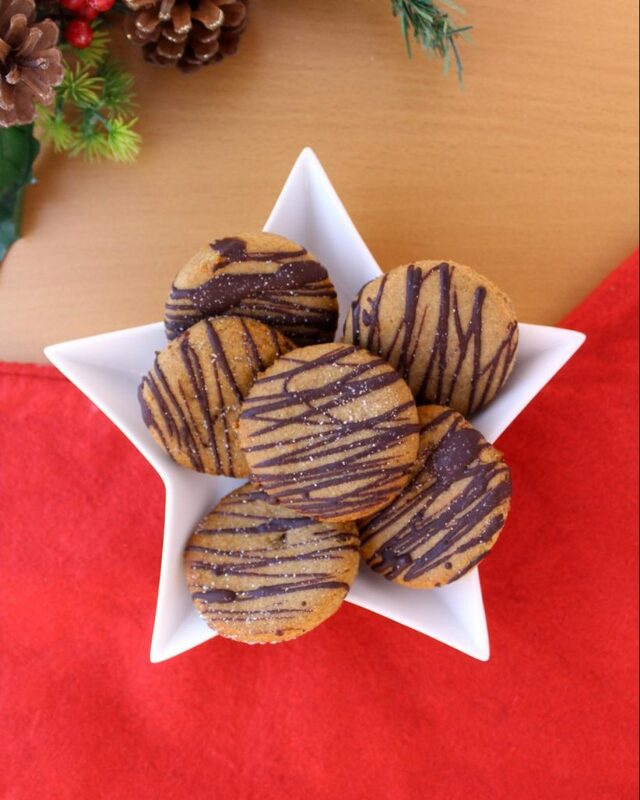 So I selected my favorite Christmas cookies and worked on making a healthier version of them. 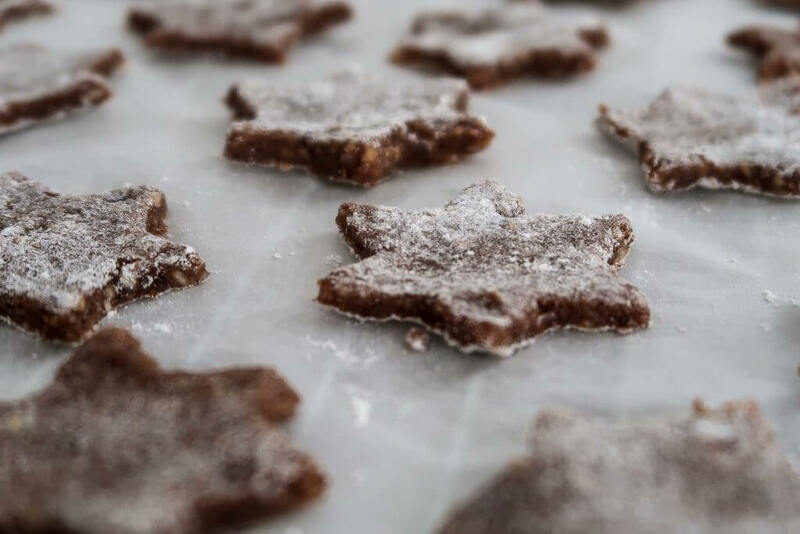 These vegan christmas cinnamon stars bring back all those good memories of baking Christmas cookies. Plus, they are made with healthy, wholesome ingredients. 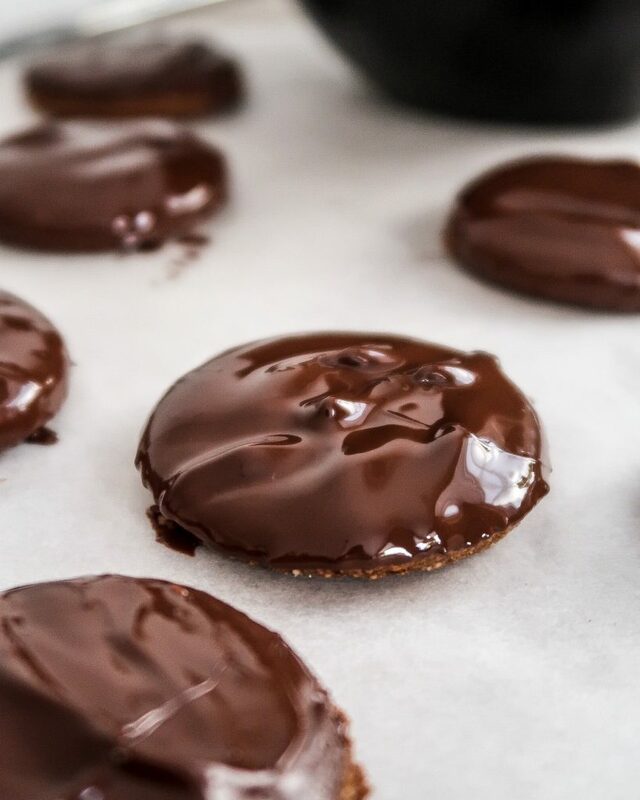 I also made a healthy vegan version of Lebkuchen cookies with a dark chocolate glaze and orange almond speculoos cookies (coming next week). 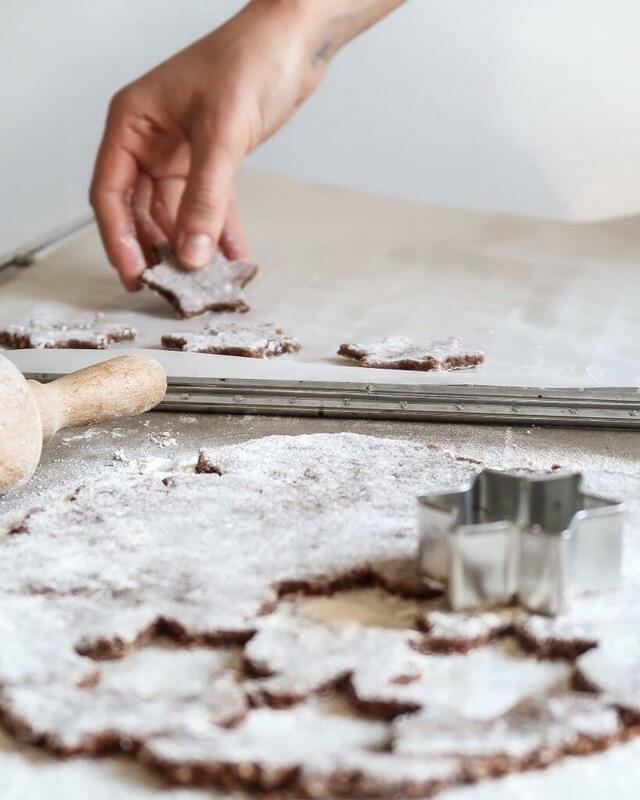 For these cookie recipes, I have once again collaborated with the lovely Chloe from Baked by Clo - go check out her vegan chocolate ginger cookies! 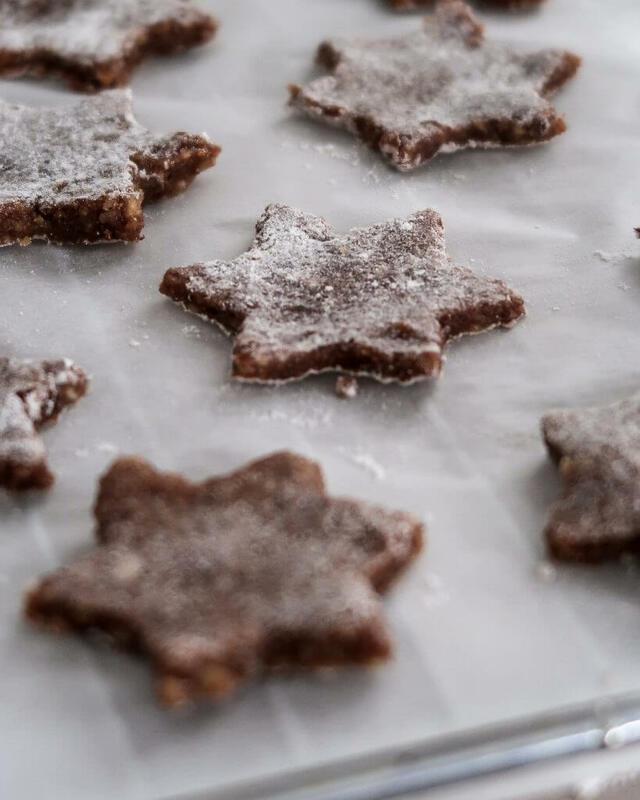 These vegan cinnamon star cookies are made with only 5 ingredients. One of them is cinnamon, obviously. 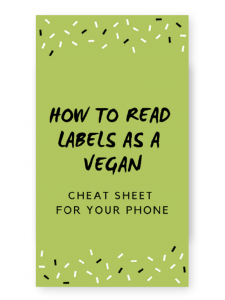 All you need are almonds (sub any other nut here if you want), dates, cinnamon, almond (or any other nut) butter and a type of plant-based milk. Because we're not using any flour, you can also eat them raw (and they are gluten-free!). To make these cookies, you will need a type of blender. I used this multi-blade high-speed blender which worked really well, but you could also use a smoothie blender if you don't have a high-speed blender. If you're feeling extra fancy, you could also make your own nut butter for this recipe. Check out my blog post on how to make nut butter! 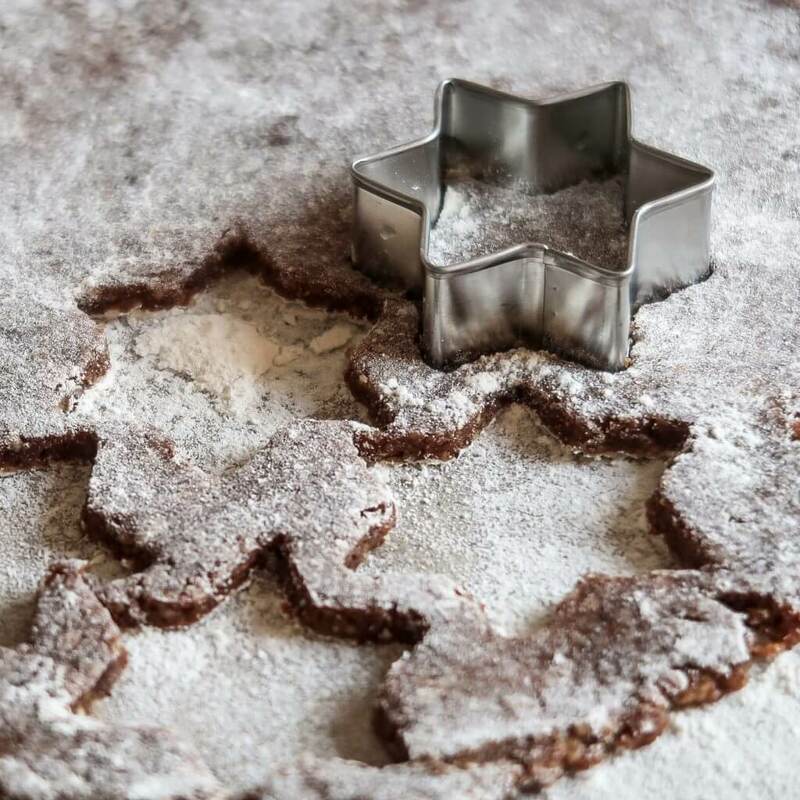 All you need to do to make these vegan cinnamon star cookies is blend all of the ingredients together to form a sticky dough. 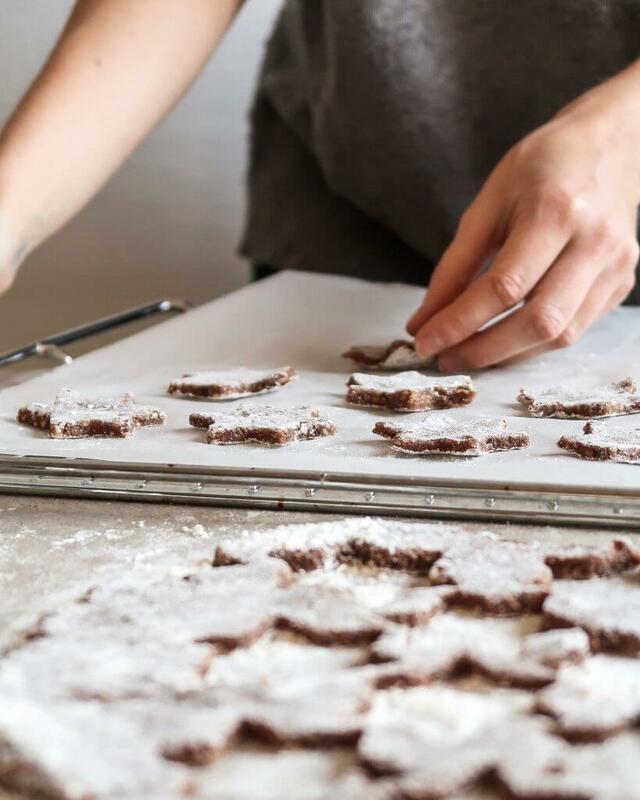 Then you need to chill the dough for 15 minutes so you can go do something else in meantime - like making another dough for these delicious Lebkuchen Chocolate cookies maybe? Chilling the dough makes it easier to handle later. You can roll out the dough and basically cut out any shapes that you like. 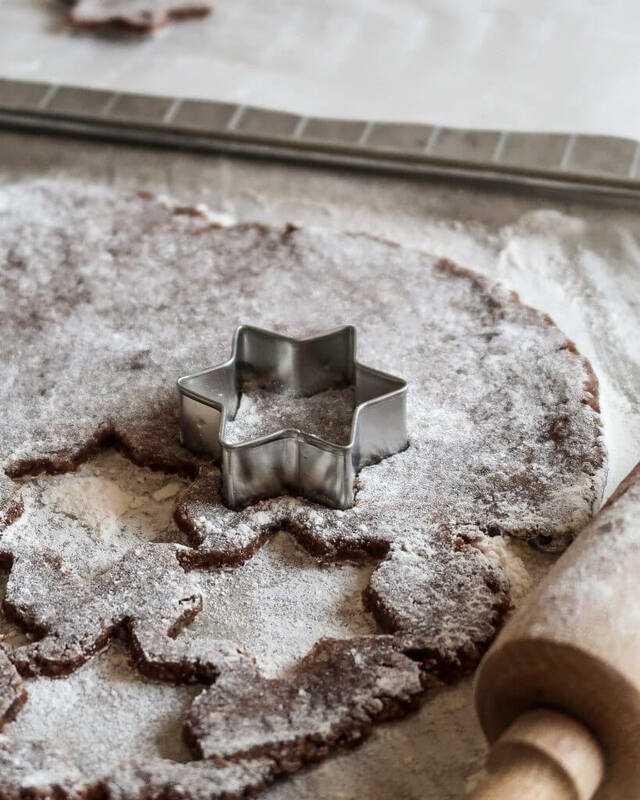 I decided to go with star cookie cutters because I'm making cinnamon stars here (duh!) but go with whatever cookie cutters you like! If you want to save some time, you could also just roll them into little balls and make cinnamon balls. First, remove the pits from the dates and soak them in hot water for ~ 5 minutes. In the meantime, blend the almond to make fine almond flour. Add the cinnamon, almond butter and dates and blend to form a crumbly dough. Transfer to a bowl and add the plant-based milk a tablespoon at a time until you are able to form a sticky dough. Using your hands is easier here. Wrap the dough in cling film and place in the fridge for 15 minutes. Preheat your oven to 180°C/350°F. Roll out the dough with a rolling pin until roughly half a centimeter thick. 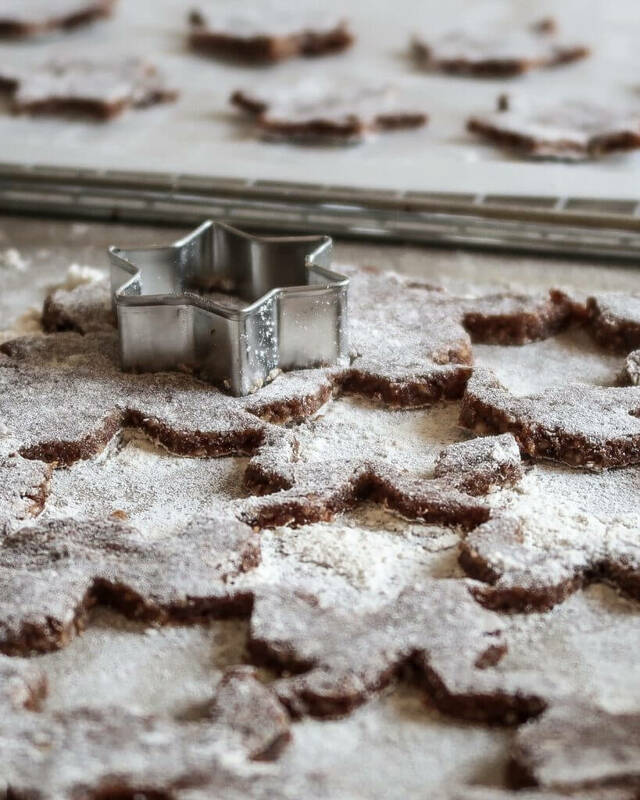 Cut out stars and place them on a baking tray lined with parchment paper. Bake the cookies for ~ 8 minutes. Remove and let cool. If you want, you can top them with shredded coconut. You could also use another type of nut like hazelnuts, walnuts or pecans. Or, go for a blend of your favorites. Adding in a tablespoon of cocoa powder would make some nice chocolaty cookies.